Wonderful staff who will go out of their way to help ... they upgraded me (unbidden) to an aircon room - gratis. The food is great. Would suit couples and families alike. The fan rooms (concrete huts) are typical - clean and basic. Comfy. I was happy. The aircon rooms a cut above - tv, fridge and a lovely big window and porch. If nothing else, just go for the breakfast! Great location, the women who run this place really keep it tidy and welcoming. Food is great in the restaurants especially the fun smoothie and juice beverages. The bungalows are a great size with all the amenities one needs and nothing less. Motorbike rental was really useful and efficient as you could rent directly from them with a piece of ID. They even let me rent when I was going to a resort in Klong Jark for a night and let me keep it for a couple extra hours no charge! Thankssss :) All in all I felt welcome and I can not wait to be back again next year for a couple nights again. Thanks again Sonya House for a great first time in Koh Lanta! 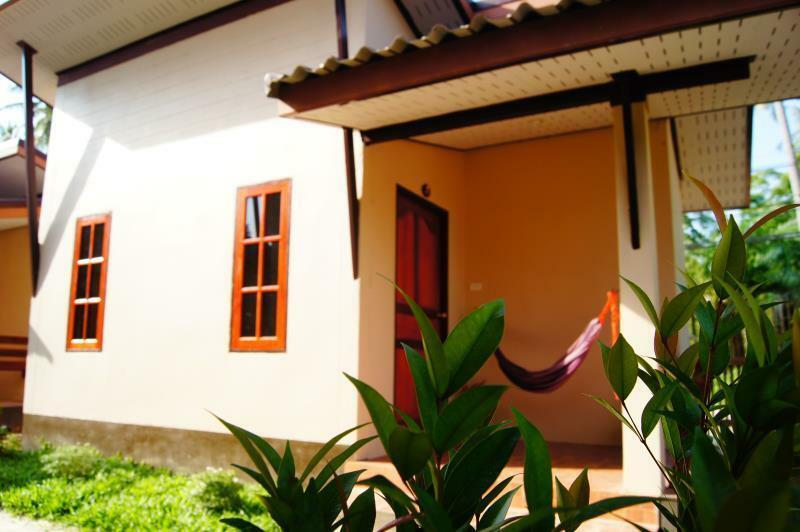 Short walk to the beach, friendly staff, clean bungalows. Restaurant serves vegetarian/vegan options with tofu and food is delicious. Recommend. Accommodating - I did not have an upper sheet, mosquito net or a fridge. I asked about the fridge and was told it’s getting repaired; I requested a sheet and netting and got bothe the next day. Could have moved to a different bungalow for fridge but didn’t bother. Would have been nice to store a few cold items on- yogurt and beer. If you’re on top of things you get service, otherwise not. This place is awesome. The bungalow I had was an aircon and it was quite good. I found it clean. It had a hammock outside and was north facing for a nice retreat and nap from the afternoon sun. The food was always good, I recommend you sample their “recommends”... The staff are always helpful and genuine. The unique style of writing down and giving them what you want was great, grab a menu, write and return. No waiting... the beach is a short walk away, and best visited at high tide, there are other beaches for low tide but those are a drive away. All in all I will return. We stayed here for 5 nights and really enjoyed our time here. We had a bungalow with fan and it was cleaned every day. It was very quiet but very close to the beach and the bars. We loved the food and we almost ate there for every meal. Their food is brilliant and they have a great variety to choose from. They also booked our transfer to our next stop and everything went really smoothly. They even helped us with a very difficult booking. We were really happy and loved the friendly and helpful staff. Lovely location right next to the beach pretty much! We originally booked a private double with shared bathroom but when we got there we upgraded as it was only a partial wall with a door at the end separating us from a dorm room. The room we upgraded to was lovely and we would stay again. Excellent customer service, always around. Clean and simple spacious room for one or two people. Lots of restaurants around and beach is 30 second walk away. A bit noisy from street traffic at times but can be solved with a pair of earplugs or music. Stayed 2 nights in one of the double bed bungalow, room was very clean and will be cleaned every day. Staff are super friendly, had an enjoyable stay there. Food in the restaurant is amazing. Not the cheapest one, but you get what you pay. The bad things are the noisy fan, it’s very hot in the bungalow but the annoying noise was not acceptable in the night. Missing a bit Privacy in the outdoor area, because you have directly view to the others terrace. The beach has a chilled atmosphere for swimming / beach relaxing you will probably find a better one in Koh Lanta. Lot of rocks in the water. We loved staying at Sonya Guest House! It is a short 1 minute walk to the beach which is full of great bars and restaurants. The WiFi is great, the bungalows are clean and modern, it is quite at night, and the staff is super friendly and helpful! They even offer motor bike rentals (which is a must if you want to have fun on the island!) Would definitely stay here again! Along main street there's a nice (I think it's family run) and cosy Sonya bungalow. I have to highlight extremely friendly staff, clean room and easy attitude. 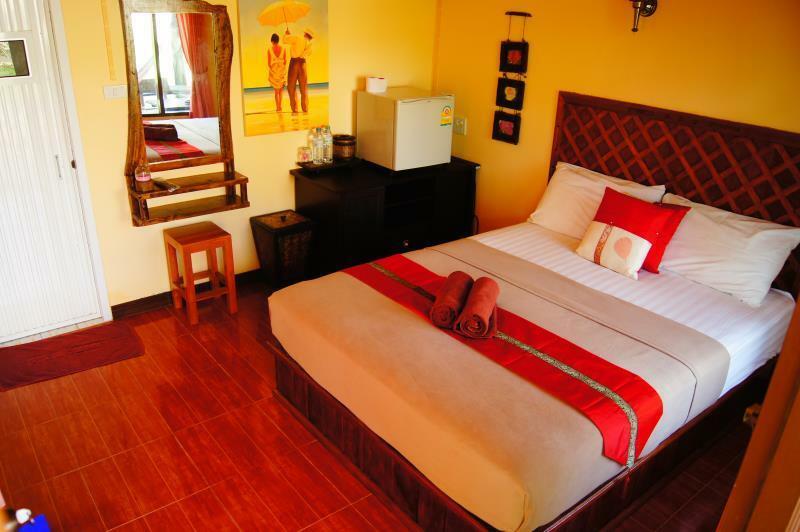 Room was well and with the style equipped as it has everything a traveler needs. This is my second time staying with Sonya and I can't say anything bad about this guesthouse. The food is delicious the staff is so friendly and helpful and the rooms are super clean and comfy! Stay here your will be glad you did!!! Lovely stay at this guesthouse. Family run - all of the staff was friendly and very helpful for renting motorbike and giving information about the island. We stayed in one of the a/c bungalows. Nice room wih a porch and hammock. My only complaint was that the bathroom had a bit of a sewage smell to it but we kept the bathroom door closed so the room itself smelled fine. Would stay here again! I've stayed in a dorm, which was basic but quite spacious and with lockers. The dorm just faces the main street so it's quite noisy, bring earplugs. They make the best cappuccino I never had in Asia and the food is delicious. Staff friendly and helpful. Not on the beach, but pretty close. The staff was really nice, and the food in the restaurant was excellent. The bungalows are nicely sized, but the beds were not the most comfortable. A short walk to the beach. A nice budget place to stay. Sonya is just a diamond to visit. Bungalows where we stayed were really comfortable, clean and nice. Everything worked well. The best food around there is also at Sonya's. We tried different places also but at the end we turned back to Sonya's. :) The beach is very beautiful and a walk away but don't go there very early cause you can't swim because of the low tide. :) Sonya and her family are very helpful with organizing everything you need. You can ask from them about transport, trips, clinics. One of us had a serious medical issue and we needed help with transport, translating and so on. Again - thank you Sonya! (After we left the island and our friend leaved the hospital everything went well and we could carry on with our trip to Chiang Mai:) ) Hope we will meet again! We are Backpackers and was really nice to stay in Sonya bungalows. They are very friendly, food there it's very traditional and tasty and they are located in an excelente area. We really recommend them. Rooms are big and beds are comfortable. Very clean and confortable. Amazing food. The staff were kind and helpful. Happy to help with everything, if you miss the free breakfast they can replace it with lunch!! !